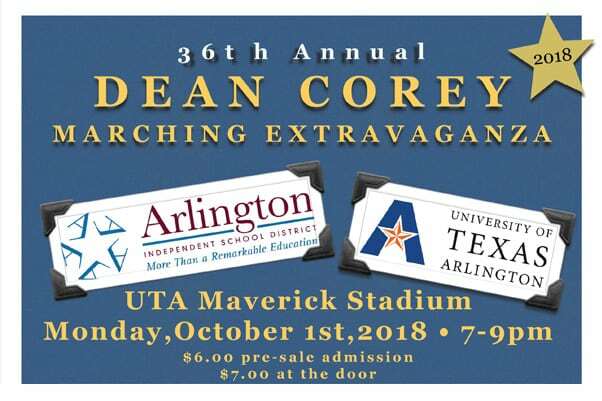 The 36th Annual Dean Corey Marching Extravaganza will be from 7 to 9 p.m. on Monday, Oct. 1, at UTA’s Maverick Stadium. All six AISD high schools, all 10 AISD junior high schools and the University of Texas at Arlington marching band will perform. There will also be a massed-band finale. Tickets are $6 in advanced and $7 at the door.